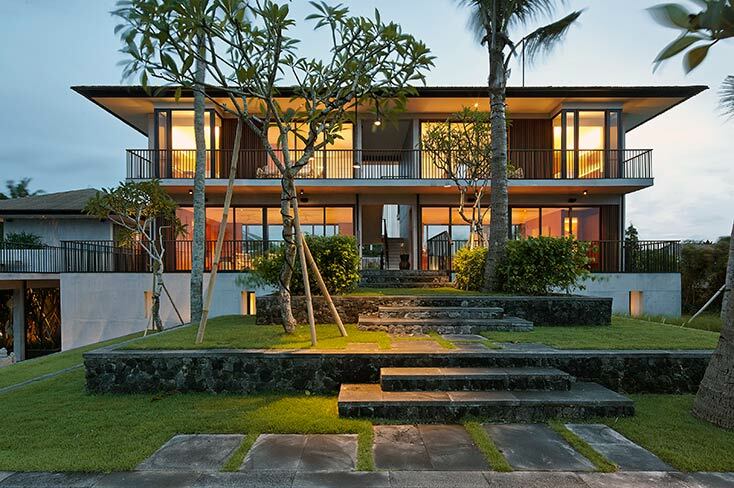 Located right on the beach in Canggu, Arnalaya Beach House is a 5-bedroom designer masterpiece offering outstanding ocean views, state-of-the-art facilities including swimming pool, international-standard tennis court, spa and gym, lashings of lounge space, mature gardens and a full complement of professional staff including butlers and a private chef. 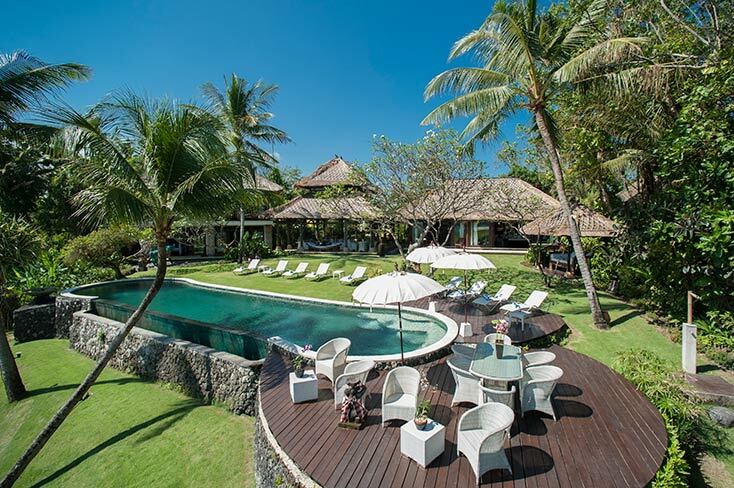 From the top of its thatched roofs to the beach at the bottom of the garden, the enchanting 6-bedroomed Sungai Tinggi Beach Villa is 100% Balinese. Traditional architecture, artwork and antiques are complemented by a team of sweet Balinese staff, an enticing swimming pool, brilliant sunsets and a truly chilled-out vibe.